IMP’s development manager, Rachael Clarke, says outline planning was gained in March and an application has gone into Solihull Borough Council for full permission. 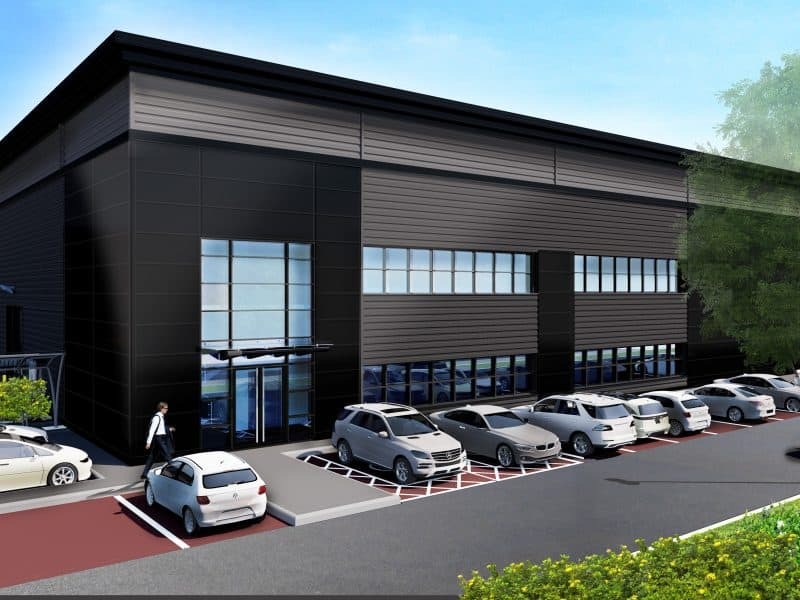 “It is directly off junction 4 of the M42, providing good access to the M6 and M40, close to Solihull town centre, Birmingham Airport, the international train station and the new HS2 hub. “There’s a dearth of premium industrial & logistics space in this area, and whilst we see our scheme attracting operators such as ‘last mile’ logistics, its high quality design and setting is such that it could also appeal to a variety of other business sectors; including creative and digital and ICT. Latest research suggests the supply of Grade A stock along the M42 corridor amounts to less than a year’s supply of space to satisfy small to medium box requirements. Rachael continues: “By delivering 5 units in one phase at Connexion we aim to satisfy the demand. Blythe Valley has already attracted big names such as Rybrook, Prologis and PKF Cooper Parry in the last 6 months. “Looking ahead, we believe Blythe dovetails into a new key driver in the manufacturing and logistics sector, with workforce wellbeing and access to amenities being key for attracting the right calibre of employee in an ever competitive marketplace,” she adds. BVP benefits from a Virgin Active Gym, Busy Bees Nursery, 24 hour security and a recently opened Java Lounge Coffee House. The latest of its tenant-focused events is a Wellness at Work campaign, focusing on tenant’s well being through a range of workshops, blogs and activities on site. CBRE and Savills currently act as agents on BVP.